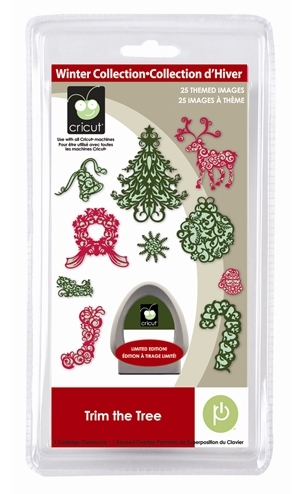 Another set of Christmas Cricut Seasonal Minis? WOW! It sure does feel like Christmas around here! We're so lucky to get two different sets of Christmas seasonals this year! Which is your favorite? Mine is Trim the Tree!! Love all the swirls and curls! I love the gingerbread one! We are big into making cookies at christmas, so this is right up my alley! Loe the gingerbread one! 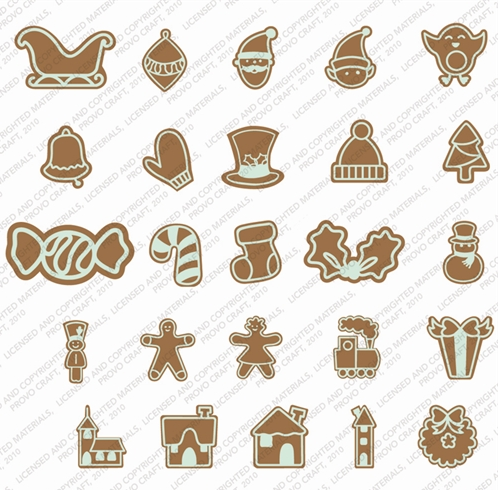 We bake lots of cookies at the holidays and this would be cute to use to make gift tags for our sweets! Thanks for sharing! I NEED them all, but my favoite is Trim the Tree. I have to agree, it's trim a tree! These are all wonderful!! I love the snowflakes!!! They are all fun and pretty- all of them! It's really cheap and the shipping is awesome, even to Canada!!! I definitely like trim the tree the best too. The Winter Lace is pretty,but it doesn't snow in Southern California. I like the gingerbread cart. They would make great tags. I didn't realize they were introducing more today! I like the gingerbread and winter lace. I think I like the Gingerbread one . . .especially the choo choo train, nutcracker soldier and the Frosty the Snowman-looking top hat. Trim the tree is my favorite too!! I really like the Gingerbread cart. Oh wow...I love them all. I like Trim the Tree best! I can hardly wait to get our tree and decorate it. I like the snowflakes even though I hate snow. I'm getting overwhelmed with all of these carts coming out, there's no way to keep up! I am with you...loving the trim the tree cartridge best. My favorite is Trim the Tree! I love the gingerbread one. So cute! My favorite is probably Winter Lace. Thanks for the previews Joy! I love the trim the tree and the gingerbread too. I can't decide which I like best but I think I am leaning toard the gingerbread!!! all nice BUT I think Gingerbread and snowflakes are leading right now in NEEDS.... LOVE this time of month! Ordered my Winter Lace cart. yesterday. Can't wait to try it out! 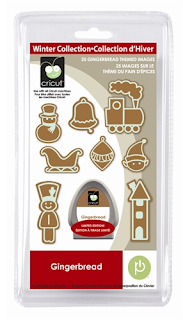 I love the gingerbread one, cool! The Winter Lace is my favorite. I missed out on the Snowflake cart. last year, but definitely will want to add this one to my Wish list! Gotta love the gingerbread!...i can see i will be making a purchase this season!!!!! I would love to have all of those, but the Gingerbread is my favorite. I sure could have used it earlier this week. I love all the swrily parts of Trim the Tree, but I have to say I like the idea of 3-D snowflakes! I like all 3 with the GINGERBREAD as my favorite. I have an entire kitchen dedicated to gingerbread. I do a tree up each year, this year I have the room for a larger tree that I purchased on clearance after season sales. I will be making ornaments with the kids with this cart for sure. I love Winter Lace...wait, I LOVE THEM ALL!!!! I love the Winter Lace. The snowflakes are so pretty! I can't just pick one, but the Winter Lace is beautiful, I'm crazy about snowflakes. I have to agree that Trim the Tree is pretty spectacular too...I must have both. I love the Winter Lace and the Snowflakes. So much to choose from, so little time! Mine is the Trim the Tree cart. I agree I like the Trim the Tree best. I like all the swirly items on the Trim The Tree cart, too! I ordered Gingerbread the other night. Can't wait to have it for our holiday cards this year!!! Love all of these...but I'm partial to trim the tree! OMG I love the gingerbread cartridge! Might have to buy that one! I think my fav is the Winter Lace. I'm loving the 3D cuts. 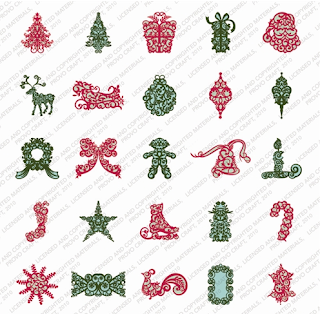 These are all really great, but I think my favourite is the Winter Lace. We love making snowflakes at our house. I really like the look of the trim the tree cartridge, but I would think cutting those images small enough to put on a card would be nearly impossible with all those intricate details. I hope you give it a try and show me it can be done. I am anxious to see what you do with these new cartridges! Trim the Tree is my favorite, too. So pretty. my favorite is the snowflakes one! but I do want trim the tree too! Just love Winter Lace. 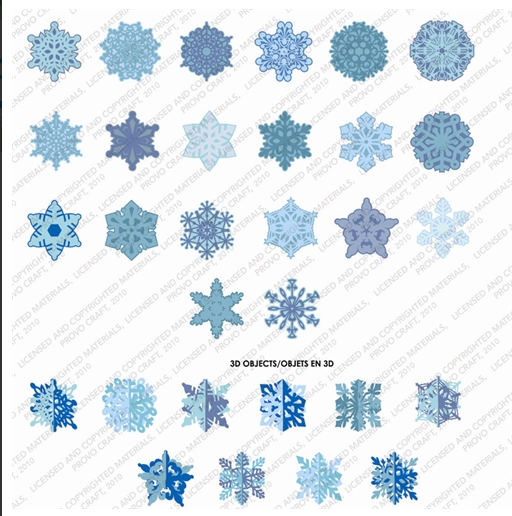 Can never have enough snow flakes! I love them all!!! Love the season. These carts have captured the spirit of the season. The 3 christmas cartridges are just amazing, as soon as I saw them I knew I had to have all 3. Christmas is my favorite holiday, that all of these will be use alot. I really want the Gingerbread cartridge because of its versatility! I love all of the images and can't wait to get it! I'm likin' the Trim the Tree and Gingerbread! Too cute! I got the trim a tree the other day and love it! 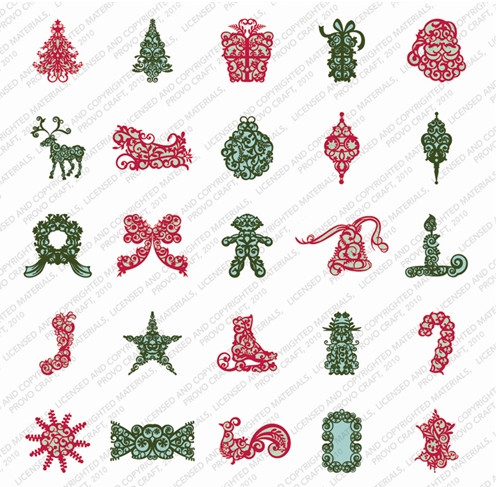 I made a ton of ornamnets to stick in the christmas cards I'm working on and they cut fantastic! 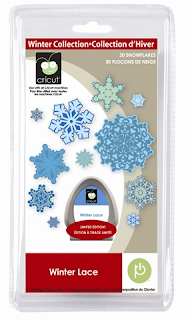 I would love to see some of the 3D snow flakes.